(Energy Analytics Institute, Piero Stewart, 12.Apr.2019) — Heard on the street and LatAmNRG briefs related to a new attack on the OTA pipeline, the Orca-1 well expected online in 2026, and Ecopetrol’s plans to expand its renewables portfolio to 181 megawatts. 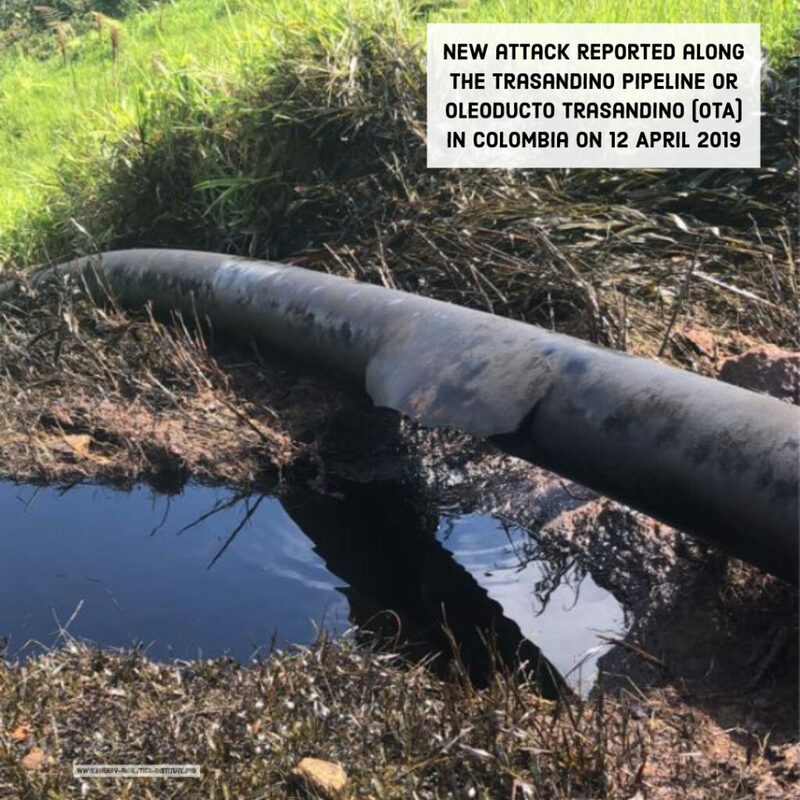 (Energy Analytics Institute, Piero Stewart, 12.Apr.2019) — A new attack was reported along the Trasandino pipeline or Oleoducto Trasandino (OTA) in Colombia on 12 April 2019, reported Ecopetrol. No details were revealed by the company. (Energy Analytics Institute, Piero Stewart, 10.Apr.2019) — The Orca-1 well in the Tayrona Block could come online in 2026, Ecopetrol President Felipe Bayón said on 10 April in an official company statement. (Energy Analytics Institute, Piero Stewart, 10.Apr.2019) — Grupo Ecopetrol aims to continue with efforts to transform its renewables energy portfolio (solar, biomass and hydraulic) in coming years and expand capacity to 181 mega-watts from 43 mega-watts, Ecopetrol President Felipe Bayón said on 10 April in an official company statement.